Thanks everyone for the well wishes for my pregnancy! As I said before, it's so nice to be able to share it here on the blog now. sewingsue, thanks for the maternity fashion blog recommendation - I've already combed through a lot of it and I'm following it in my blog reader now. Sew4Fun, I admire your ability to sense these things; I am always late in figuring these things out about others! ...with this! It's my TNT t-shirt pattern. I turned it into a basic, crewneck sweater. The dress sleeves were 2-piece with a seam along the outside of the arm, so in order to reuse the sleeves, I had to keep that long outside seam, which I think makes for a neat design feature. I added "cuffs" to the sleeves to get them to a nice length just past my wrists. Same thing goes for the back - the dress back had a center back seam (into which I think you were supposed to insert a zipper), so now my crewneck sweater has a CB seam too. I had a couple of questions on how I use the fusible knit hem tape that I mentioned a couple of weeks ago. It's very simple really but easier to explain with pictures than words. First I fuse the interfacing to the very bottom of my hem on the wrong side of the fabric. The hem tape is 1.25" wide, and I press the hem up just 1" wide, so that the interfacing is in the fold of the hem; this provides extra stability and helps the garment hem wear better/longer. Now stitch the hem with your preferred method. Here I just used two rows of parallel stretch stitch on my sewing machine. I'm out the rest of the week for a quick trip to Germany! I'll be in Munich and near Stuttgart. Plenty of pics to come. Have a great week! Congrats on your pregnancy. Glad you were able to make something else from the fabric. Nice save on the fabric! The sweater fits you well. Great save! Congrats on your pregnancy! I see that adorable little baby bump! Good save! Too bad - that would have been a great maternity dress. You look wonderful. Congrats! That was a good save...however...I was going to suggest that you leave it because you would probably "grow" into the top of the dress! Anyway, I'm glad you're able to use it now! Many congratulations on your news. That t-shirt looks great - I like your hem technique. Well done on saving the fabric - the top looks much better than the dress. Congratulations on the baby news! Keep well, and enjoy the peace before your baby arrives. Oh no!!! You must have been totally bummed about all that wool jersey, but I can see you wearing this top way more than the dress. Great save. Catching up on my blog reading to see that you have wonderful news! How exciting to be welcoming a little girl into your lives. Read my blog to see what your life with her will be like in 17 years, and give up any hopes now of her wanting to sew like her mom, because the sewing gene skips generations 90% of the time. Sad but true. She will, however, want you to devote all your spare time to making fabulous clothes for her. Great save! 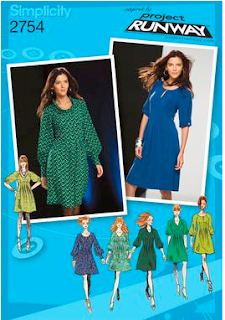 Aren't you glad you sew and could turn that dress into a top that you will wear and enjoy? Have a great trip. ALL THE BEST FROM DOWN UNDER! The top looks way better! I love how it shows off your cute baby bump. What was the maternity blog recommendation? I could use some help myself in that category. Well it did look pretty good until the second photo ;( Good rework of the fabric though. You are looking good! The baby bump!!! so cute! Nice save on the top! I think dress will be great on you, if you simply add a xxl belt! Too bad it stretched like that, the first photo looks really great. Thanks for the hem tape how-to. I'm off to practice now! Great save. You can never have too many t-shirts. After many Big 4 issues with "sack" dresses, i can now look at the pattern envelope and "tell" what might end up having too much ease. This happens a lot with Simlicity of course. Anywho, I have thrown away things much earlier in the construction process, so you are to be commended on your save. I'm so impressed with your ingenuity and your ability to let the VW dress "rest"...and if it doesn't work out, you've learned something! It's a shame about the sagging waistline, but thanks for letting us all see what happened. It's also useful for blog-readers like me to know what can go wrong when you take "risks" and which risks pay off and which don't. For me this was a particularly interesting post because I have just got into sewing jersey fabrics and that looks like a risk I might very well have taken myself - so now I'll be more careful! Thanks again! Enjoy the festivities especially now that you can eat for two!!! And all the very best for the very exciting New Year.